About Sophie's Big Noisy Book! 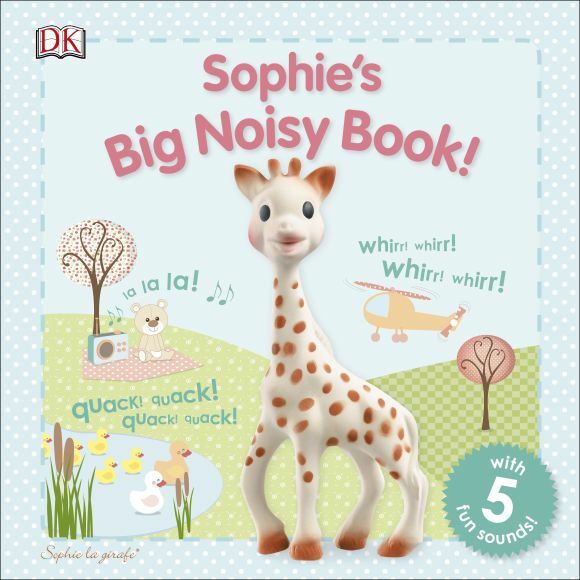 Follow Sophie la girafe as she has a very noisy day in this beautiful noisy board book, perfect for fans who use the Sophie toy when teething. Join in the fun with Sophie and her friends as they have a very noisy day. From drumming and tooting to a whirring helicopter your child will love lifting the flaps and setting off the light-activated sounds in Sophie's Big Noisy Book! Perfect for reading aloud at bedtime this noisy lift-the-flap book is just right for hands-on play and encourages motor skills and early learning. This noisy Sophie la girafe peekaboo book is perfect for your curious toddler.